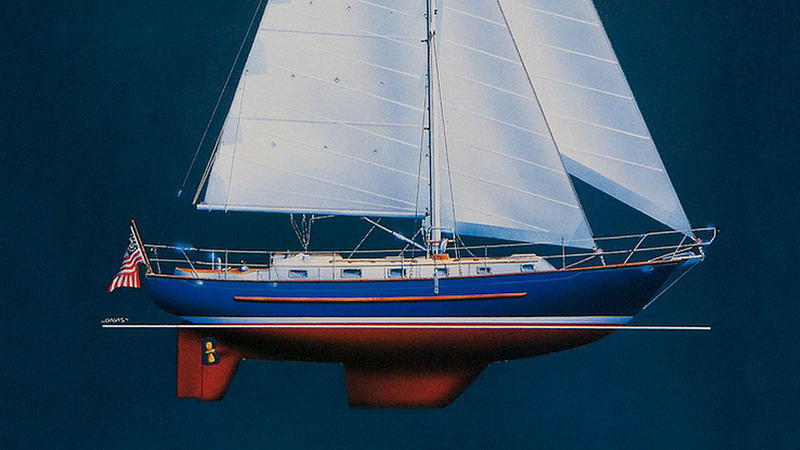 The Pacific Seacraft Crealock is a well regarded cruising sailboat that is built for extended blue water cruising while also being easy enough to handle for easy day sailing. 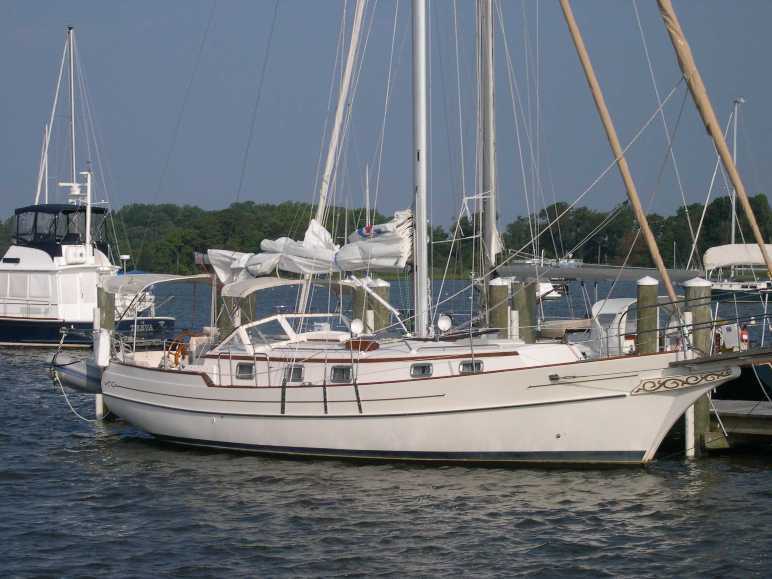 This two-owner cutter rigged version was set up for long-term cruising by its first owner with wind generator, SSB, davits and 6-person liferaft. Purchased in 2012 by its current owner, she has been used as an inshore cruiser and floating summer cottage. Recent upgrades include new Furuno GPS Chartplotter, HD Radar, AIS, Fusion stereo, asymmetrical cruising spinnaker and 275' of anchor chain. Please view the video tour linked within this listing. The layout below is spacious, well lit and well finished. Settee berths in the main saloon can double as sea berths. Headroom is 6'-4" or better throughout the boat and storage capacity can only be noted as incredible. Beautiful hand rubbed teak joinery throughout with teak & holly cabin sole. The interior is finished with a satin varnish with accents on the trim. All deck hatches and sole opening hatches are banded in solid teak. Sleeps up to six people in accommodations with the forward cabin, main salon and port side quarter berth cabin. The unique forward cabin design is a signature of the Pacific Seacraft 37 and incorporates a 6'-6" long wide double offset berth to starboard with a comfortable dressing seat and vanity and mirror to port. There are 2 large hanging lockers, drawers, bookshelf, cabinets and storage bins and storage under the berth. There are 4-opening, screened ports, a double opening Bomar hatch for light and Hella fans for excellent ventilation. Next aft to port is the head with storage compartments outboard and behind & under the sink. The head is ventilated with an opening portlight and weatherproof dorade. The head sole is teak grating. A varnished teak grate, which lowers over the toilet bowl, for a comfortable place to sit while showering. The inside of the head door is white formica with teak trim making the interior bright and easy to clean. Othe head features include hot & cold pressure water and electric shower sump pump with overboard discharge. Amidships is the main salon which features a beautiful U-shaped settee and centerline teak table to starboard with built-in top opening lockers, fold out double leaves and removable fiddles. There is a teak hand hold on the forward bulkhead for safety. Opposite to port is the straight 6' - 4" settee with storage underneath. There are storage bins above settee along with a long fiddled bookshelf. Aft and to starboard of the main salon is a traditional U-shaped galley that will delight the gourmet, whether at sea or dockside. There are 2-stainless steel sinks, fully gimbaled stove and generous counter space. Other features of the galley include two drawers, built in waste basket with laminated chopping block lid, extensive louvered lockers, large dry storage bin, large refrigeration and freezer compartment. This example includes the 4 optional large hanging storage lockers above the sink including racks for dishes. Directly across from the galley, to port, is a proper offshore, forward facing navigation station and chart table with an exceptional compliment of navigation and electronic equipment for easy use while navigating. The large nav table/desk has a generous storage locker under the desk top and room for the additional electronic navigation and communication equipment outboard. Aft of the chart table, is a quarter berth large enough for two adults. There's storage under the bunk, 2 storage cabinets overhead, and a Hella fan for air circulation. There are 10 Stainless steel opening ports with screens and 1 main saloon opening deck hatch, 1 forward, opening deck hatch, plus the companionway hatch, with screens, which provides a large amount of light and ventilation. There are also 2 dorade vents, protected by the Stainless Steel mast guards. Stanchions 32” High W/1 ¼ Diameter S.S.
16 Gallon Holding Tank W/Y-Valve Allows Head To Be Pumped To Holding Tank Or Directly Overboard When Offshore. The Pacific Seacraft 37 is a superb high-performance cruising yacht that incorporates all the qualities an experienced sailor looks for in "a proper yacht," such as seaworthiness, premium quality, exceptional performance, comfort and beauty. She has a modern split keel and skeg rudder underbody. She's sleek, beautiful, and a brilliant performer in all conditions, as was proven by her remarkable and repeated performance in the recent Singlehanded Transpacific Yacht Race. She'll accommodate six and has features specifically designed for extended ocean voyages. 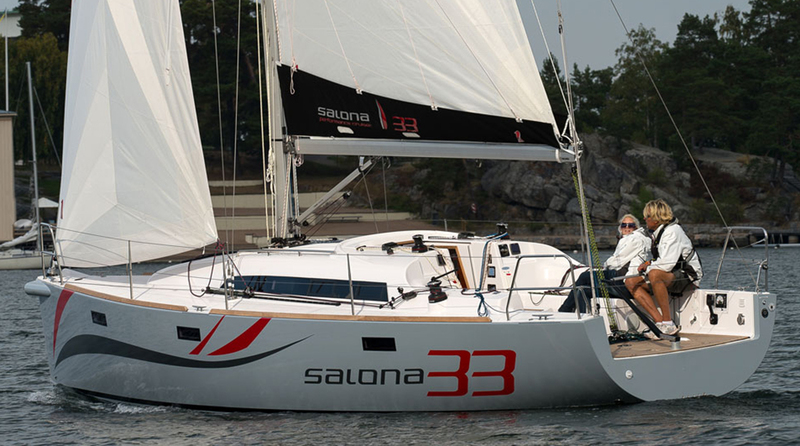 The speed of the Pacific Seacraft 37 is already legendary, but performance in a cruising boat requires much more. 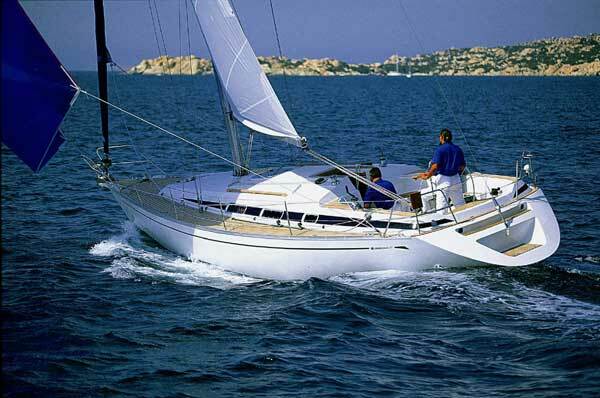 A cruising boat must have a comfortable motion at sea and be well-balanced under sail so the crew does not have to fight the boat every yard of the way. The Crealock 37 was carefully designed for an easy motion. When you are shorthanded and you grow weary of those long night watches, a balanced boat can make a world of difference. In addition to her beauty, comfort, and sailing ability, the Pacific Seacraft 37 offers engineering and construction that is unsurpassed. Her fiberglass hull and deck are built to the most rigorous specifications, 100 per cent hand laid-up and squeegeed to remove all excess resin for optimum strength-to-weight ratio. Deck strength and insulation are increased with high-compressive-strength plywood core construction. Cored hull construction is available. Throughout the cabin, a soft white matte finish provides just the right counterpoint for the abundant hand-rubbed teak joinery. Sunlight and fresh air pour in from ten polished bronze opening ports and two large deck hatches.